The discovery of water damage or mold can turn a real estate deal into no deal. 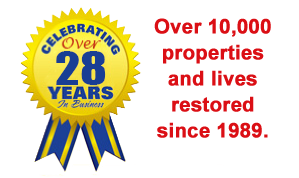 You need fast action from a restoration contractor you can count on to mitigate and restore the property so you can reassure your clients that the situation is under control. Have a “go to” contractor you can count on when needed. Return the property back to normal – and get the deal back on track – faster. Have clear, complete documentation that the restoration was performed to the proper Standard of Care to maintain property value and eliminate post-sale liability. ICC is focused on restoring damage with as little reconstruction as possible, so property is returned to normal faster and at less cost. But if reconstruction or other services are required, we can be your single source of contact to take the project from start to finish! ICC uses a variety of special equipment and procedures designed to restore damaged properties in one-third to one-half the time, keeping restoration costs down and preventing secondary damage such as mold. We’re able to save items that others discard without even trying to restore them, reducing cost and completion time even more. 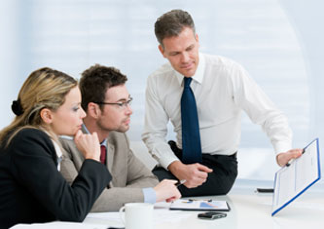 ICC works under a transparent business model by providing comprehensive on-line documentation in near-real time. By operating transparently it is easy to understand exactly what steps were taken to restore the property to pre-loss condition. Not only does recommending the right contractor reflect well on you, but we also make extra efforts to let your clients know they made the right decision by choosing you as their agent. ICC has the specialized equipment, systems and procedures to respond to residential, commercial and industrial property losses regardless of the type and size of building affected.